I encourage you to look back over 2015, because it has nuggets of gold to help you excel in 2016. 1. What were the reasons new customers agreed to do business with you? Don’t go with your gut instinct. Ask. Find out the real reasons, as these will help you know what you need to change. 2. What customers did you lose this past year and do you know why? Again, don’t go with your gut feeling. Ask them for specifics. 3. What were the best questions you asked customers this past year? 4. What changes did you notice in how your customers and prospects responded to changes in the industry? 5. Who did you meet this past year who you were able to learn from? What can you do to learn even more from them? 6. What activities did you get bogged down in last year that wound up taking up time you could have spent selling? 7. What were the little changes you made in how you did things this past year that made you more effective? What can you do to take them to the next level in the coming year? 8. 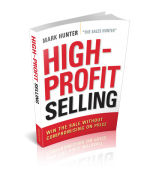 What part of your selling presentation worked best for you and what can you do to leverage it even more? 9. What part of your selling presentation didn’t click right and how can you change it going forward? 10. How was your motivation during the year? What caused you to get motivated and what were the factors that drained your level of motivation? Your results this past year are soon going to be in the past, and that means they lose their significance. What does count is what you achieve going into the year to come. I’m not a fan of looking back as much as I am a fan of looking forward. Call me an optimist, but I’d rather focus on what’s to come. However, if you fail to learn from the past and don’t allow it to help you be better going forward, then you’ll never fully benefit from your experiences. PrevPreviousExecutive Sales Leader Briefing: Who Are Your Peers?